Will my forehead look younger? The vast majority of brow-lifts involve simple skin undermining and securing to deep structures. The brow is timidly pulled and the excess skin re-draped. This simple procedure touted by many as the modern brow-lift is supposed to provide a natural long-term brow-lift. The technique is anything but modern as it fails to give consistent results for most patients. The typical endoscopic brow lift is also popular because it is fast and simple. There is only one problem. Patients often do not look better, and may actually look “surprised” or “weird.” Patients who benefit from brow-lifts have skin redundancy requiring more than simple re-draping. The skin is like taffy, it stretches when pulled, so the excess needs to be removed. Forehead wrinkles will persist in patients with excess skin as patients continue to aggressively raise their brow. The forehead muscles must be released as well to treat deep unsightly grooves. So what do you do? You can undergo multiple small procedures with marginal results or get a real brow lift. Are there other options that make sense? Botox or other paralyzing agents can provide a medical or nonsurgical brow lift. This works by temporarily paralyzing forehead muscles that pull down and relaxing muscles that pull up. As patients age these agents improve wrinkles at the expense of brow position. 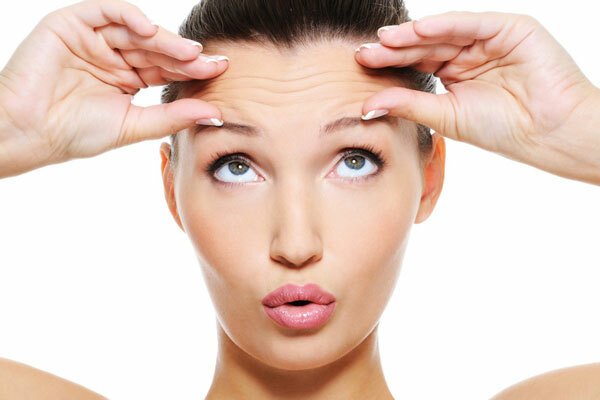 The wrinkles improve but the forehead droops as the skin becomes more lax. Upper eyelid tucks can allow patients to avoid the need for brow lift longer but not indefinitely. Removing upper eyelid skin relaxes the brow thereby improving forehead wrinkles. Upper eyelid tucks are often combined with brow tightening through the same incisions. This is the best option for patients with thinning hair or a receding hairline. In most patients the need for a brow lift is obvious. The brow has supporting structures and muscles that stabilize and move the forehead. As patients age these structures become overactive causing unsightly creases. Increased forehead animation, activity to improve visual field, and genetic differences make some patient foreheads look older than others. The skin must be surgically removed and structures repositioned to reliably improve deep grooves, open the brow, and decrease upper eyelid hooding. Although the current limited or open brow lift is more extensive then what patients have come to expect, it really works. Instead of several small ineffective incisions, patients often require slightly longer incisions hidden in the temporal hair. Recovery is not several days, but several weeks. Patients do not have to be convinced their brow looks better, but they can truly see noticeable long term results. Nothing in cosmetic surgery is as frightening and obvious as a bad brow-lift. Many patients actually believe or convinced themselves that they look good. Some even rave about their cosmetic surgeon. Simple and quick may be okay in fast food, but is rarely okay in facial cosmetic surgery. Sadly, good plastic surgery is often what patients fear the most. It can be difficult to embrace a good brow lift performed the right way by the right surgeon. After a full recovery, good brow lifts should be subtle and difficult to identify. Patients simply look great for their age and rarely admit to surgery; and why should they? Dr. Lowe’s goal is to make each patient look better without looking different. He believes facial aging begins around the eye and brow resulting in a tired or angry look. He attempts to improve the region so patients appear younger and more refreshed. His approach is individualized based on patient features, concerns, and expectations. Brow lifts relying on static hardware or sutures often appear strange, irregular, or overly surprised. Many lines are caused by facial muscles, and to remove all lines would result in loss of facial expression. The artistic goal is not to remove every wrinkle from the forehead, but to rejuvenate the region in a natural way.